Do you send out greeting cards around the holiday season? Families have been writing "Christmas Letters" for hundreds of years, but the commercially produced Christmas card is a little bit younger: first manufactured in 1843 for the personal use of Henry Cole. Cole was a popular fellow, and letters from friends filled with holiday greetings were stacking up. In Victorian England, it was a terrible slight to not answer a letter, but Cole's innovation was the mass-printing of a cheerful holiday family (with a TO and FROM line for his personalization). 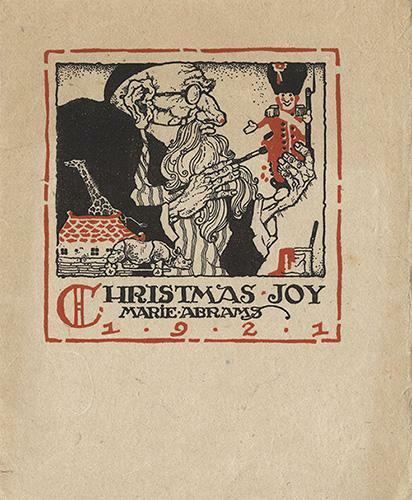 He had 1000 printed (he was a popular man, after all), and the modern Christmas card was born. This 1880s trade card, from Philadelphia retailers Shoneman Brothers, stars a familiar figure. Although his coat looks a little browner than we expect, Santa Claus is fat, jolly, rosy-cheeked, and on his way down the chimney with a bag full of toys. 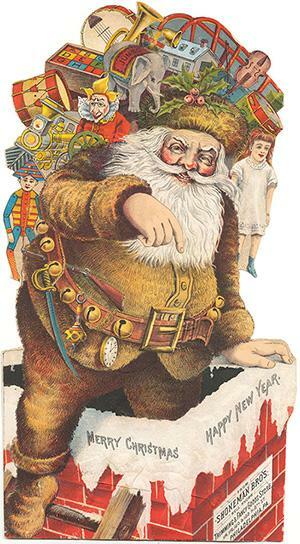 Although "Santa Claus" was a familiar term from before 1800, the modern imagery only dates from the 1860s and the prolific illustrator Thomas Nast. Golden Age illustrator Arthur Rackham was famous for his drawings of trolls, fairies, and gnarled creatures. 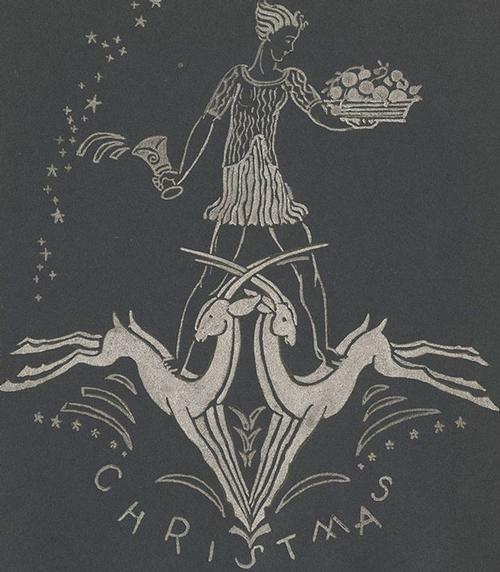 His personal Christmas greeting for 1900 was suitably on-brand. John Wanamaker and his brother-in-law, Nathan Brown, founded a men's clothing store in 1861, that evolved into Wanamaker's, one of the first department stores in America. Although Wanamaker's is no more, the building is now the Philadelphia flagship of Macy's, and a National Historic Landmark. Another Wanamaker's card from the 1930s, also by Katherine Milhous, visually alludes to the famous Wanamaker Organ, which still plays in the building's main court. 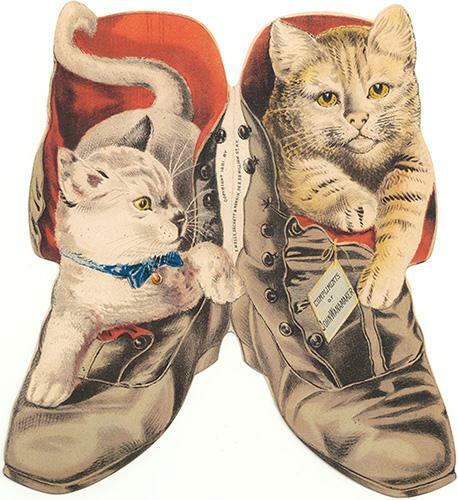 Beloved author and illustrator Beatrix Potter (you probably remember Peter Rabbit, right?) first sold her drawings to greeting card manufacturers in the early 1890s. Her first book credit was 1890's A Happy Pair, a compilation of Frederick Weatherly's rhymes with her greeting card designs published by the successful Christmas card printers Hildesheimer & Faulkner. After the success of The Tale of Peter Rabbit, Potter began creating and licensing artwork for charity cards like this one. 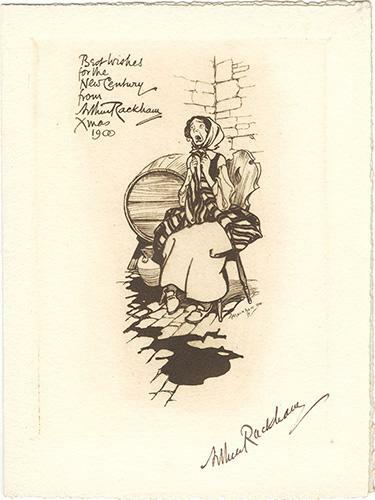 This 1932 card was sold to benefit the Invalid Children's Aid Association, one of Potter's favored causes. A. Edward Newton was a major figure in book-collecting (and in the early 20th century, book collecting was big business—one of his books about book collecting outsold The Great Gatsby). Each Christmas, he sent a "keepsake" to his vast circle of friends, although Christmas 1937 saw him greeting the New Year "ratherish unwell." 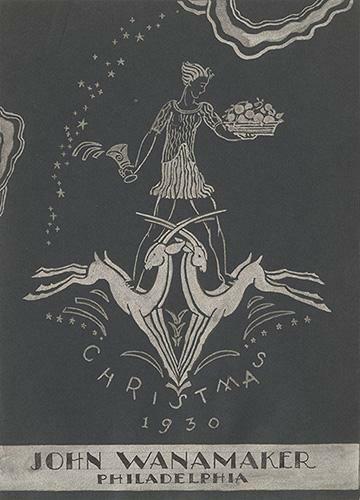 After his death in 1940, the Library of Congress published its own Christmas keepsake in his honor. 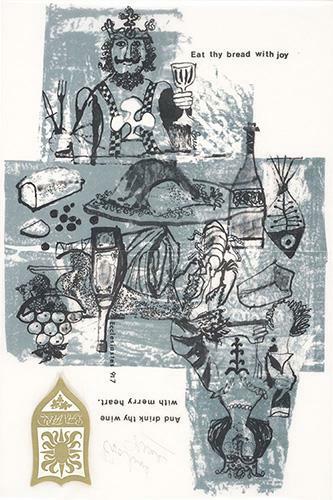 Robert and Marie Lawson were both artists and children's book illustrators, although they never directly collaborated. 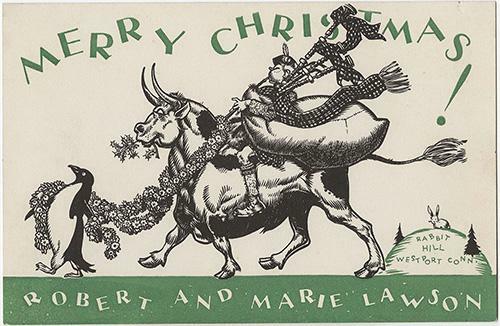 Robert Lawson's family card, probably from the late 1930s, shows some of his most popular characters celebrating the season: one of Mr. Popper's penguins leads Wee Gillis riding on Ferdinand the bull. 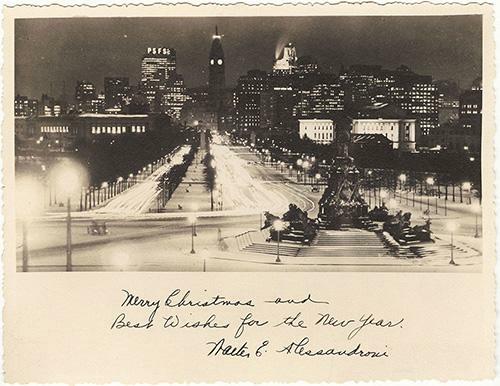 Walter Alessandroni was the Attorney General of Pennsylvania in the mid-1960s, when he sent this card, but the photo used is from about twenty years earlier. We're celebrating the centennial of the Benjamin Franklin Parkway all year here at Parkway Central Library, and you can see some other great images of the Parkway right in our West Gallery. You probably noticed City Hall is the tallest building in this photograph (also: hello PSFS!). We don't tend to think of City Hall as tall these days, but it was the tallest building in the world until 1908 -- and, quite famously, the tallest here in Philly all the way until 1986. And of course Billy Penn is still at the top of Philadelphia - he just capped off the new tallest building, the Comcast Technology Center, last week. 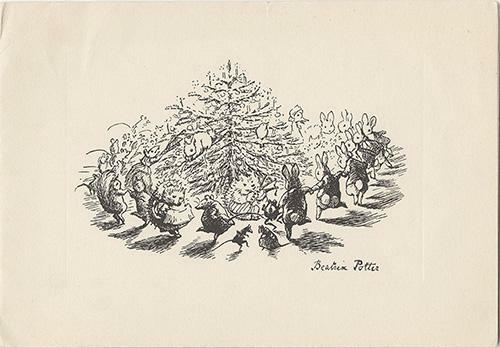 American children's book author and illustrator Evaline Ness sent this fantastic mixed media Christmas greeting to Free Library Children's Librarian Carolyn Field back in the 1960s or 1970s. 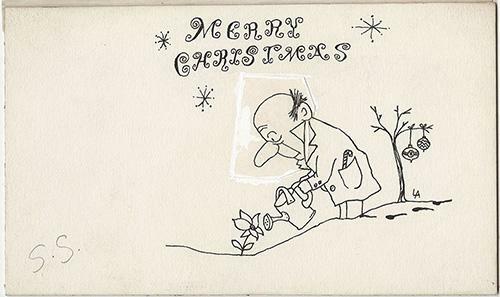 Her occasional collaborator, fantasy novelist Lloyd Alexander, drew this cute doodle to be converted into a line cut to be reproduced for his annual Christmas card. 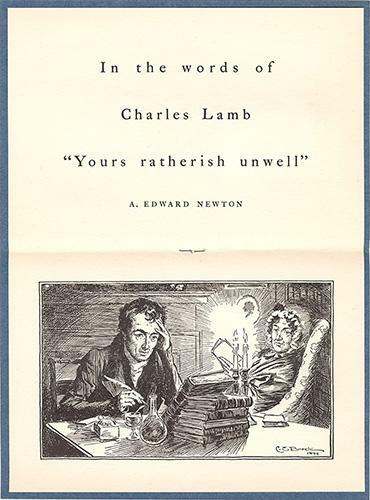 There are huge collections of original materials by both Alexander and Ness in the Children's Literature Research Collection, and many are online. Check out more historic greeting cards online, and get some holiday card inspiration now. Happy Christmas Card Day everyone! Add a Comment to Do You Need Some Holiday Card Inspiration?